New Destiny Church is a Spirit-filled community of believers, who believe in the power of the Holy Spirit, and the contemporary ministry of Christ expressed through the Church and Gospel dynamics of the book of Acts. Our aim is to live out the basic elements of Christian Life and experience as modeled in the early Church, and by so doing to "love God with all our heart and all our soul, and all our mind and all our strength, and our neighbour as our own selves". This is the purpose of our celebrations and gatherings, for worship and prayer, for teaching and strengthening, for the celebration of Christ, for the ordinances of the Church, and for mutual encouragement, comfort and strengthening of one another in faith. 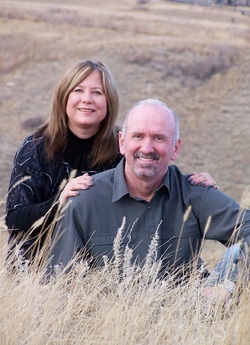 Pastors Ray and Elaine Baillie have been ministry team leaders at New Destiny since January of 2006. They have a wide variety of ministry experience, having served in both large and small Churches since the late 70's. They have travelled and particpated in a variety of Mission experiences in Thailand, Taiwan, India, Mexico, Rwanda, Kenya and South Africa. They have been married for 39 years and have 3 adult children, 2 of whom are married, and 4 grandchildren.